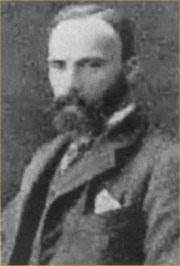 John William Waterhouse (April 6, 1849 - February 10, 1917) Painter of classical, historical, and literary subjects. John William Waterhouse was born in 1849 in Rome, where his father worked as a painter. He was referred to as "Nino" throughout his life. In the 1850s the family returned to England. Before entering the Royal Academy schools in 1870, Waterhouse assisted his father in his studio. His early works were of classical themes in the spirit of Sir Lawrence Alma-Tadema and Frederic Leighton, and were exhibited at the Royal Academy, the Society of British Artists and the Dudley Gallery. In the late 1870s and the 1880s, Waterhouse made several trips to Italy, where he painted genre scenes.